Ages 14-16. 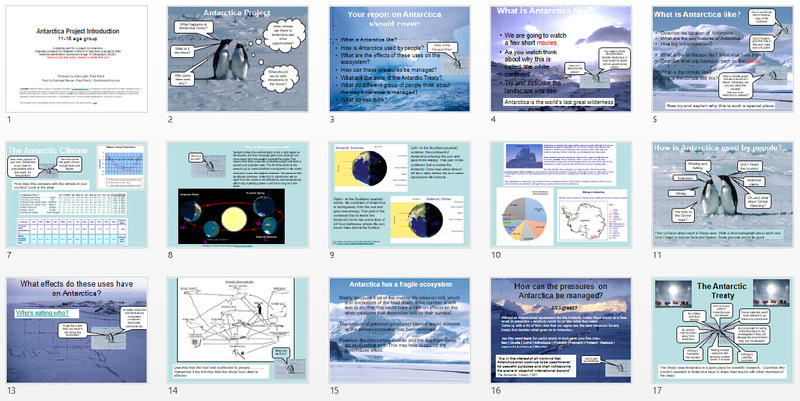 A presentation for use by teachers to start an extended project on Antarctica with a focus on governance, regulations and how to preserve Antarctica while also utilizing it. 8 Mb - 24 slides. Suitable for ages 14 - 16. This was originally written for students in the UK to help them prepare for their age 16 external examination coursework (GCSE). It has been modified to form a good basis for any coursework / projects for the 14-16 age group from any educational system. Adaptation is encouraged as long as the copyright guidelines below are adhered to. Copyright: Material on these pages is copyright Rachael Peryer / Paul Ward / CoolAntarctica.com. It may be used as a presentation or printed for personal or public performance as long as it is not for direct or indirect commercial use (no pay to view, no use behind a paywall). It may be altered or modified, but not made publically available or transmitted to others in original or modified form without the written permission of Paul Ward / CoolAntarctica.com. Don't even think about trying to sell this free resource. How is Antarctica used by people? What are the effects of these uses on the ecosystem? How can these pressures be managed? What are the aims of the Antarctic Treaty? What do different group of people think about the way Antarctica is managed? Describe the location of Antarctica. What are the key features of Antarctica? How big is the continent? What is the landscape like? What else lives there? Why is the climate like this? 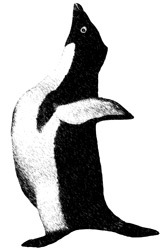 Whaling and fishing - Scientists - Mining - The hole in the Ozone layer - Territorial claims - Tourism - Global Warming. How can the pressures on Antarctica be managed? What are the different viewpoints about Antarctica and the way it should be used?